The 22 year old told Fako News Centre recently that since she comes from the English speaking part of Cameroon, she is now working on improving on her fluency in the French Language so that she can successfully participate and represent Cameroon as a bilingual country in beauty competitions home and abroad. Miss Ekombe who graduated from the Department of Sociology and Anthropology in at Buea University in 2013, explained that though there are a lot of challenges in this field, she is determined to make a break through. She explained that she has received a lot of discouragement from friends and relatives who have a negative view of ladies who participate in beauty contests. However, she remains positive and maintained that she has confidence in herself to perform. The Miss Fako 2014 beauty contest is the brain child of Ms. Etoe Miriam Limunga who is supported by her friends in Holland. 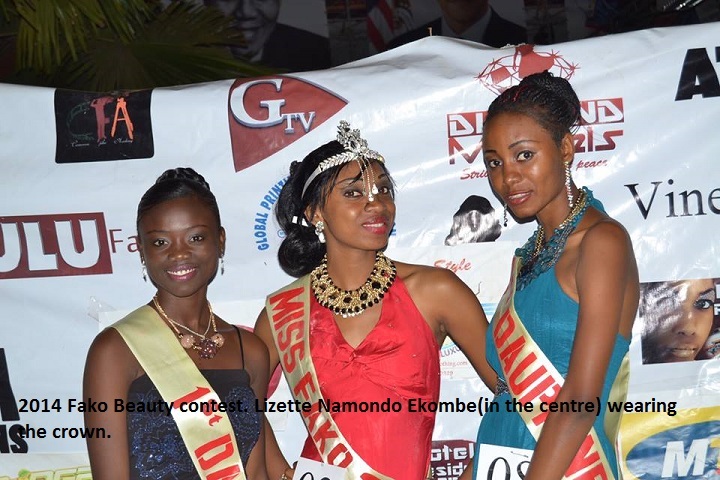 Some of her friends from abroad accompanied her to Cameroon last December to organise the beauty show. 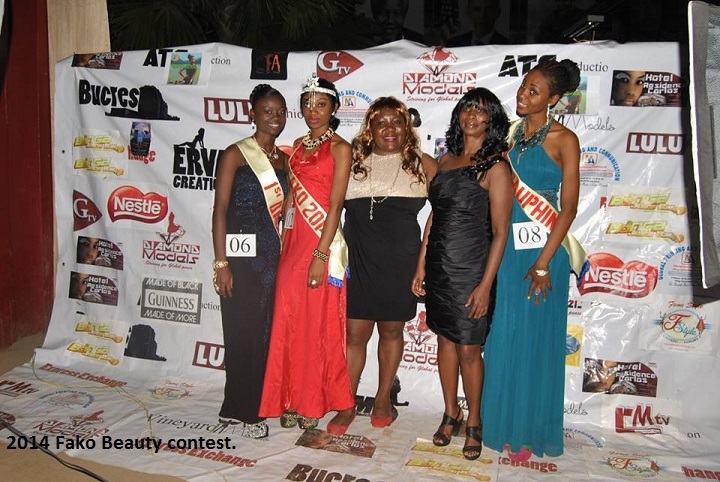 Out of the ten participants in this 2014 edition of the beauty show, only four originated from Fako Division. Before the contest, Ms. Etoe and her team visited Government School Bonakanda where they awarded scholarships to the first three pupils in all the classes. They plan to extend their donations to higher educational levels when their group must have grown mature to generate enough funds.